You will enjoy the unmatched quality of life at Almeria at Ocotillo. Click through our photo gallery for a glimpse of why our residents love calling our apartments in Chandler, AZ home. Lush and mature landscaping throughout provide the luxury resort-style feel. Wade in the serene waters of our expansive swimming pool. Lounge poolside under the Arizona sun or gather round the fire pit. Our theater room is the perfect place to watch your favorite movie to top the night off. Your pets will love our dog park and the spa treatment in our dog spa. Escape the heat on the water pad or head indoors and relax in the clubhouse. Featuring a variety of cardio and weight equipment, enjoy the convenience of having a fitness center right outside your door. Lastly, our luxurious interiors will make you feel right at home with modern functionality and design throughout.  Come tour Almeria at Ocotillo for yourself today!